With over 1 billion users, Facebook is by far the most popular social networking website of them all. Besides its obvious personal uses, it offers substantial opportunities to promote your business. There are millions of prospective customers that you could reach, but there may be countless competitors as well, so you’ll need to stand out from the crowd if you’re looking to win additional business. Creating a branded profile that grasps the attention of the visitors is a great way to showcase creativity and skills, and Facebook timeline covers offer an excellent way to get started. 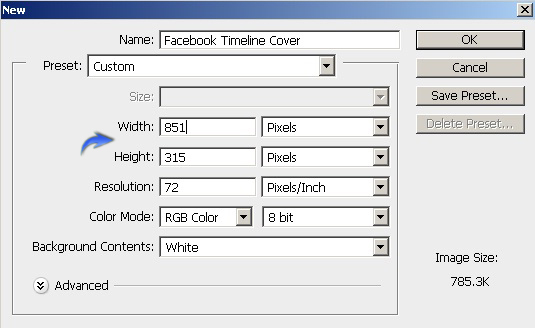 In this tutorial, I’ll walk you through the process of designing an interesting Facebook timeline cover in Photoshop. 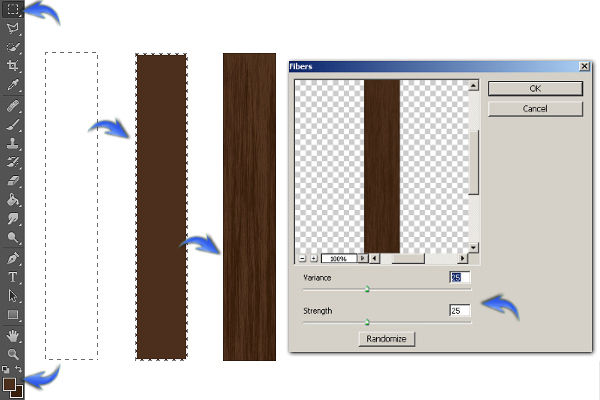 Along the way, you will learn how to make gorgeous wood textures by following a few easy steps. 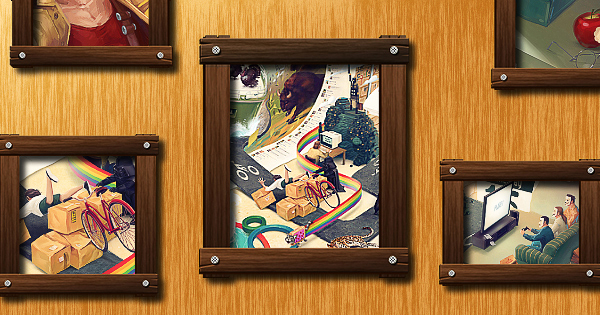 You will also learn to make photo frames of different of various sizes and dimensions. So, let’s get started! 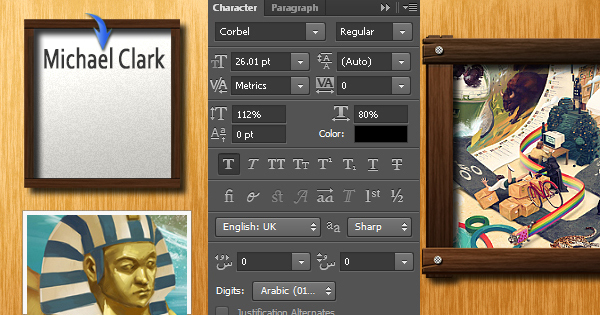 Create a new document in Photoshop with a 851px width and a 315px height. Next, we’ll define the cutout space that is used for the placement of your Facebook profile icon. Its width should be 168px, and its height should be 103px. Also, the cut-out space should be located 24px from the left edge of your canvas. First, we’ll position a guide 24px from the left border. So, go to “View” > “New Guide.” Use the values below for perfect positioning. Now, select the rectangle tool and click on the document. Use the guide below to trace the exact dimensions for the rectangle and place it on the guide as shown below. Next, we’ll define the space for the profile icon, which should have a 160px width and a 160px height. 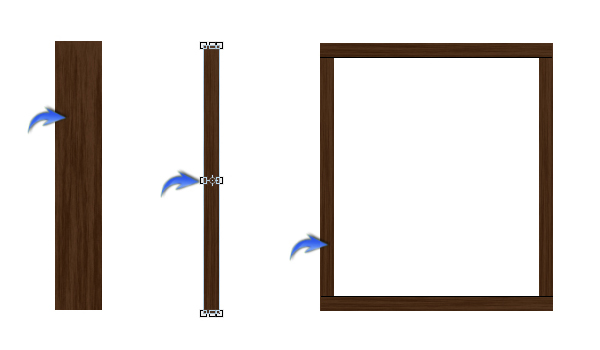 So, draw a 160 by 160px rectangle and position it inside the cut-out space as shown below. We’ve defined the cut-out and profile icon space already; now we can design the timeline cover with these constraints in mind. Any design element should not be present within this rectangle as it will be covered by a Facebook icon once you’ve uploaded the design. Let’s start the actual design work with the background. 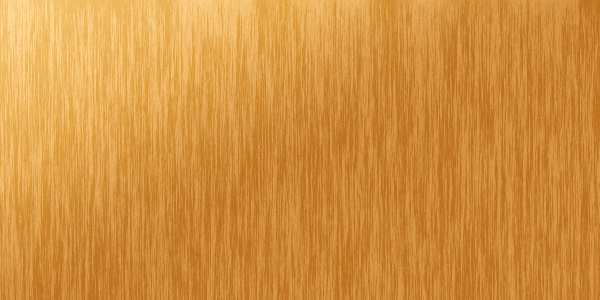 We’ll create a subtle wood texture for that. Set #d0a360 as the foreground and #bd8530 as the background color. Create a new layer just above the background and fill it with the foreground color using the paint bucket tool. 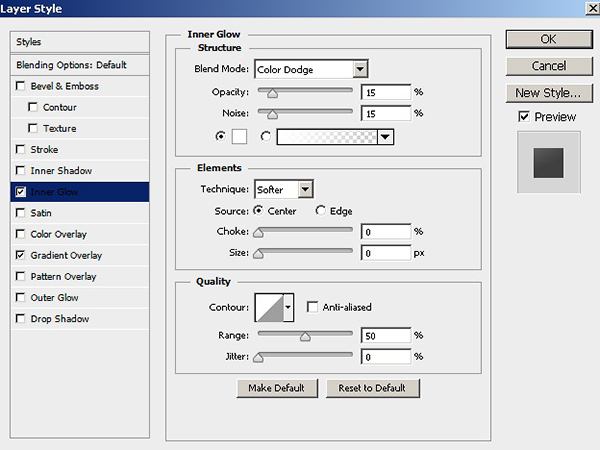 Now, go to “Filter” > “Render” > “Fibers.” Apply the following settings here. Double-click on the wood texture layer to open the “Layer Style” window and apply the settings below for inner glow and gradient overlay. We are done with the background; now we’ll make a nice wooden frame. Set #412d1d as the foreground and #2f1e0e as your background color. Then, select the rectangular marquee tool to make the rectangular selection shown below. Fill it with the foreground color and apply the following settings for fibers to make the darker wood texture. Next, we’ll create tiny cracks at the edges of the wood panel. 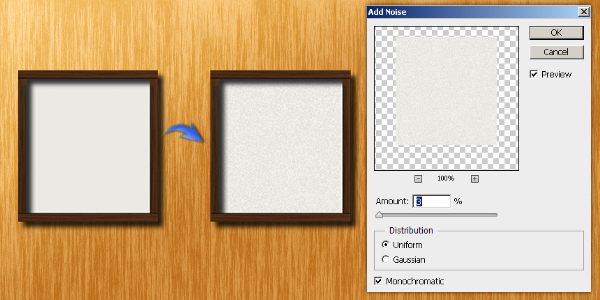 Duplicate the newly-created wooden panel layer to preserve the original. Hide the original layer; we’ll use it later. Click on the duplicated layer, select the polygonal lasso tool and select a thin triangular patch over the edge, as shown below. Now go to “Edit” > “Clear” to remove this small selection. Make few more cracks using the same technique. 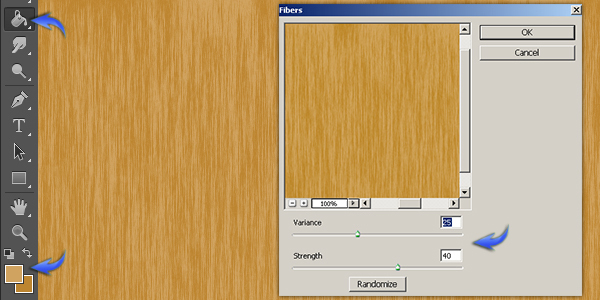 Now press Ctrl + “T” to activate the free transform tool and decrease the width of the panel slightly. 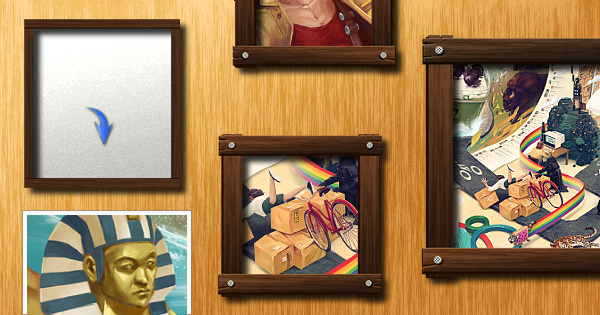 Now we’ll give this wood panel a 3D look. Set #220d00 as your foreground color and press Ctrl + <click on the panel layer> to select it. Then, create a new layer below the panel layer and press Alt + Backspace to fill the selection with the foreground color. After that, move the selection one step downward and to the left using your keyboard’s arrow keys and once again fill it with foreground color by pressing Alt + Backspace. Repeat this process 2 to 3 times till you get an acceptable thickness for the panel. Label this layer as 3D. 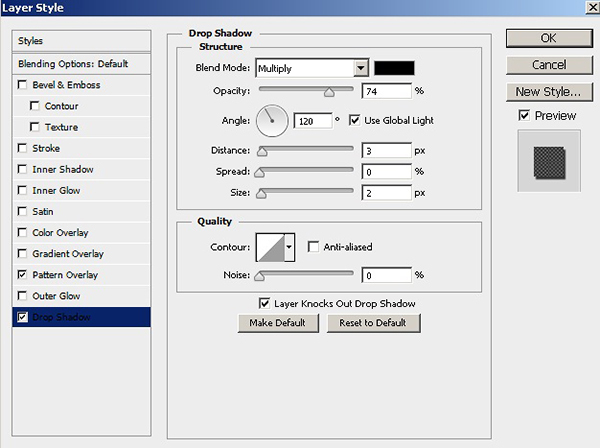 The move tool (“V”) should not be selected during this step; if it is, you won’t achieve the desired 3D look. 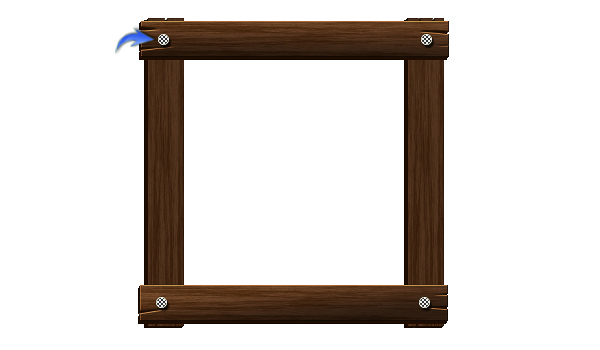 Collect both the wooden panel and the 3D layers into a single group, duplicate it, and drag this copy towards the right to make the right border of the wooden frame. Duplicate it twice, select both layers, and go to “Edit” > “Transform” > “Rotate 90⁰.” Align these new layers to complete the frame. Select one of the front panel layers and apply the following layer style settings to it. 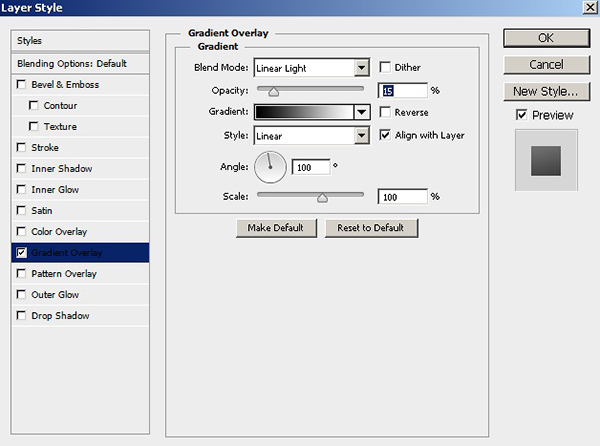 Once you are done, right-click on this layer and choose the option of “copy layer style.” Then right-click on rest of the panel layers one by one and select “paste layer style” to apply the same effect on them. Next, we’ll make nails over the four corners of our frame. 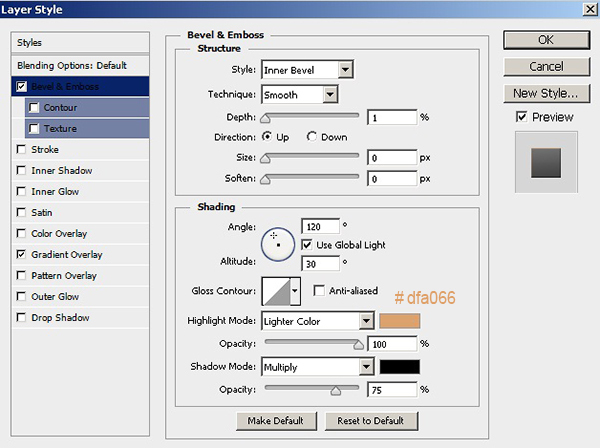 Draw a small circle using the ellipse tool (using color #eaeaea) and apply the following layer style settings to it. You can download the pattern used for nails from the resources listed at the beginning. 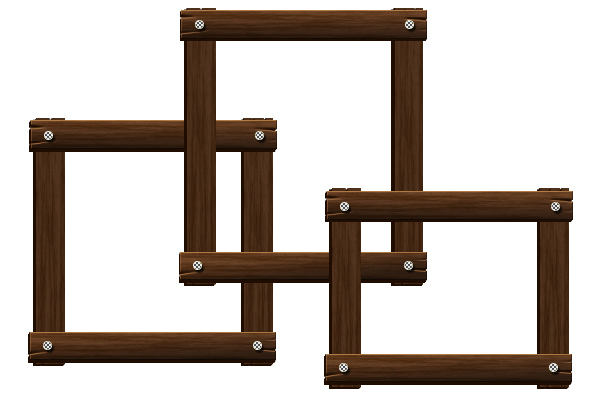 Duplicate the nail three times and arrange these copies over the frame’s corners. Collect all the layers forming this frame in a group. Duplicate it and increase the height of both the right and left borders using the free transform tool. 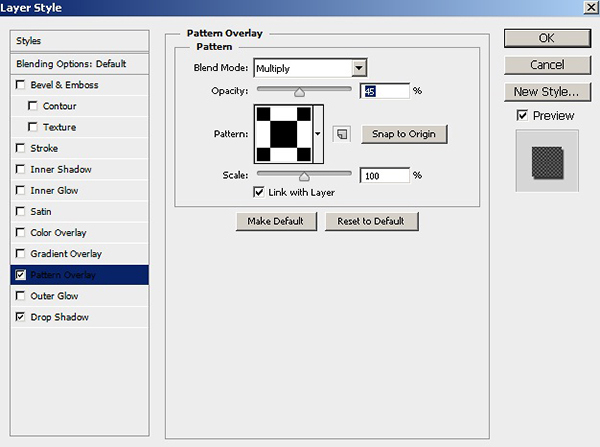 Position the rest of the layers accordingly to get a frame with varied dimensions. You can make a number of frames using the same technique. 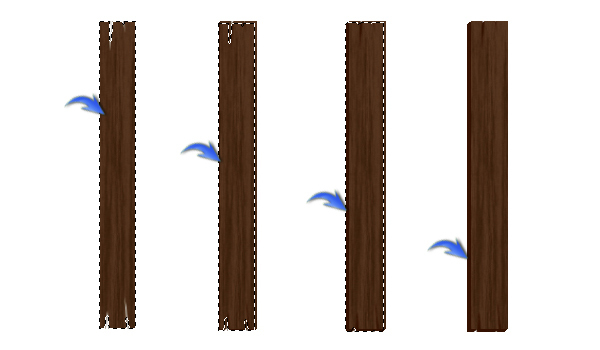 I’ve made the following three types, which I am going to use for the timeline cover. 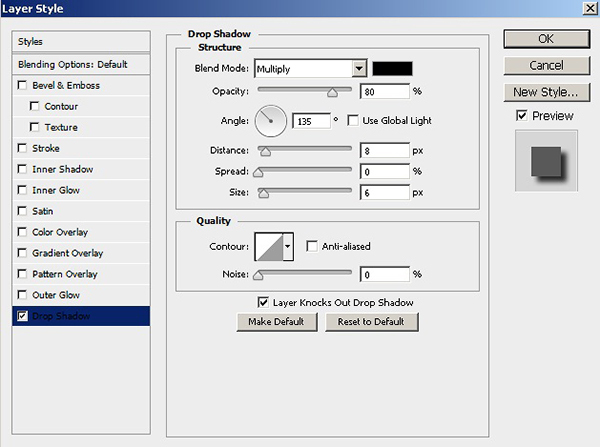 Now right-click the frame group and choose the option to “Convert to smart object.” Convert all the frames to smart objects and apply the following drop shadow settings to them. 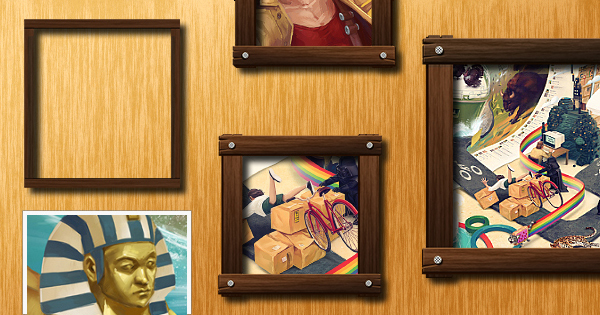 Arrange these frames above the background layer as you like. Next, we’ll bring the images into the canvas. Go to “File” > “Place” and select the first image. 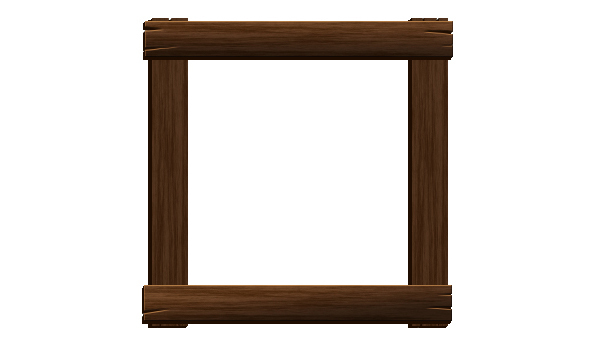 Adjust its size according to the chosen frame and place it just below the specific frame. Repeat the process for all images. Here is how it looks after placing these images. 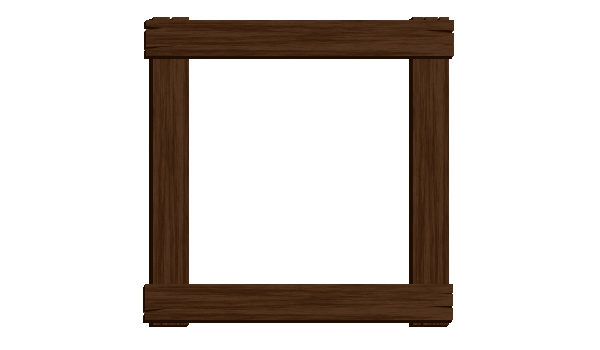 Now, we’ll make another simple frame to display some profile details. 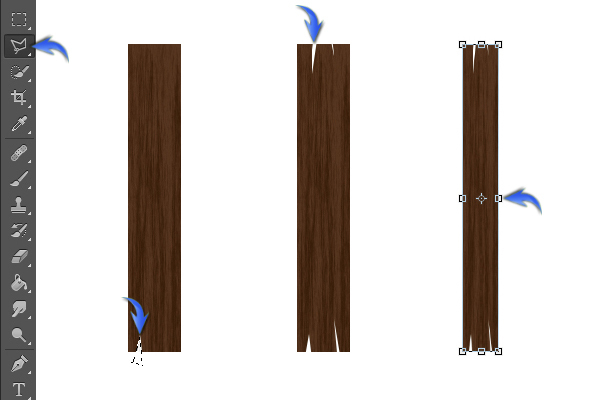 Apply the same drop shadow settings to this frame that were used in step 13. Draw a rectangle below this new frame layer using color #ebe9e4 to make the card paper. 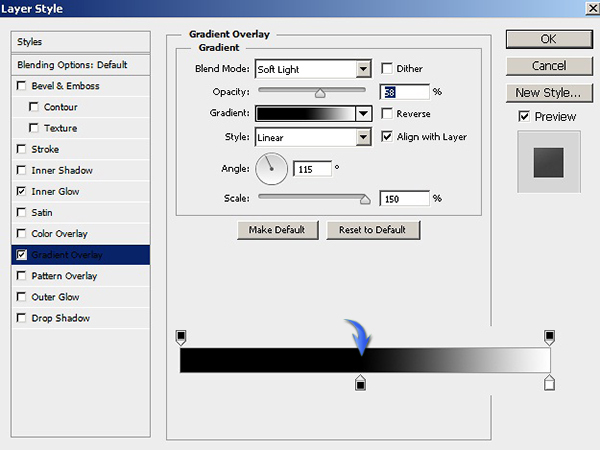 Apply the following settings for gradient overlay on the card paper layer. Next, we’ll add some profile details. Set #363636 as the foreground color. Select the type tool and add the desired title. I’ve used “Corbel” font here. 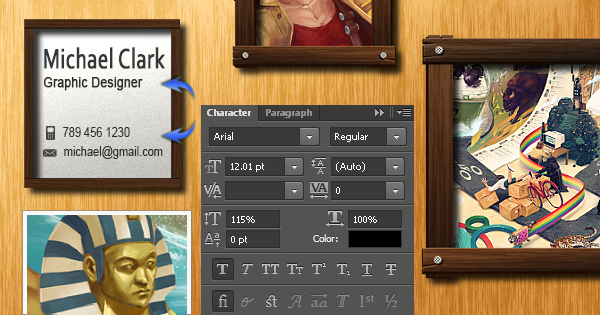 Add rest of the details using “Arial” font. You can add relevant icons to make the content more appealing. Lastly, I’ve change the color of the subtitle to #754b0a. Here is the final outcome. That’s it. Hope you guys enjoyed the tutorial and learned something interesting. Do share your thoughts!